I felt the dialogue was never to long except on mission 3 a bit speaking of which.... there are some grammar errors there (before u go up north). That dragon model :O. I dont know how to beat him though. He would channel a 3 laser attack which i couldnt dodge and taking 90 % of my hp. The only way to beat him is with gimmicks like running around the edges and snipe him every minute... but i didn't want to do that. Ahhh I see, seems the boss battle for mission 1 is the most difficult and the most buggy. Probably the platform switching what cause the bug. Perhaps I redesign the pilot a bit more. Double objective? I'll check it right away. Ahh yes, mission 3 is to end the 1st chapter. That is why I try not to leave any plot holes. But yes I do understand the dialogue can be overwhelming. I tried to make the dialogue short, simple and to the point. The boss for mission 3 ? actually there are two way to beat him. Easy way and hard way. The hard way is to send the hero he is going to ultima waaaay across the screen, it will minimize the damage up to 40% and after you can continue using Kyra's steam and Ben's disintegration for max damage. As for the easy way, here is a hint : Ben's Temporal Shield. Thank you for the feedback SamsaraNoMas. Thx for the quick reply! Ah ok running away from the ultimate makes sense. I like a good challenge so i will kill him the hard way :D. I never liked micro missions that much but you made these maps engaging and fun. I hope though u make some macro missions/campaign in the future! 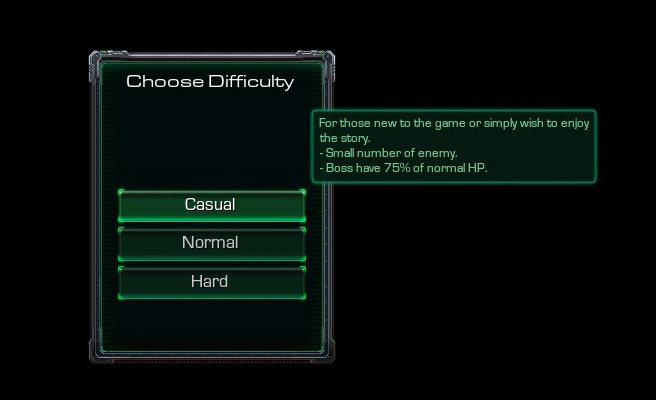 In the middle of scripting triggers for Difficulty select. For those new to the game or simply wish to enjoy the story. Boss have 75% of normal hp. For those who've beaten the game on easy and back for more. Boss have 100% of normal hp. For veteran player, the way it is meant to be play. Boss have 125% of normal HP. Going to try to implement them for mission 01 - 04. Had to put mission 05 and 06 on hold for a while. 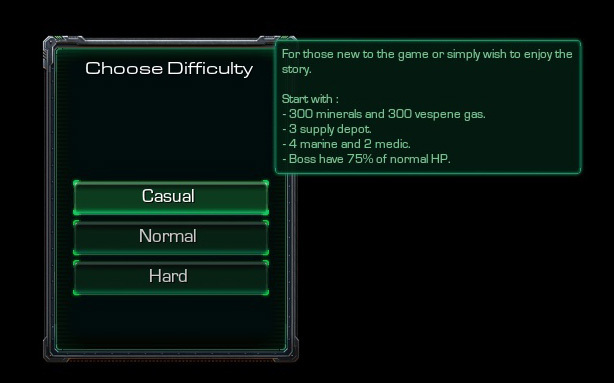 Mission 01 - 03 with difficulty select feature is up. Mission 04 is up again. With difficulty select and few lore changes to better make a continuation with mission 05. Unique terrain never seen before. The Pilot, 4th member of the mercenary no longer a mystery and now finally making her debut. First of all, very cool intro. It's the first time I think I've seen the Tram background used for a custom campaign. It worked really nice and made the situation that much more intense. The first section with the Cobra team was well done. I really like stealth missions and I liked how you could choose between stealth and attacking at any point. When you use natural terrain, (not manmade) you want to try and blend in the textures to add more of a realistic effect. A good example is the crash site, where the grass just completely stops, instead of blending in and slowly dissapearing. I like the doodads you put of groups of trees on the side, but me, being a huge doodad-lover, want to see more. Many of the larger open areas could do with some additional doodad polishing to populate the areas a little. Other than that, pretty neat. I did notice that you had quite a bit of variation in some areas, which is good. Really like the custom models. I noticed Mira Kel had a new model this time, didn't she? They look awesome. The boss battle at the end was awesome. Caught me so off-guard that I almost died instantly. Which, I honestly really like. A good boss battle often comes unexpected imo. It was really challenging. Died quite a few times. One thing I'd recommend is giving the player vision of the whole room or mark the boss' position on the minimap, as he sometimes spawned in the fog of war without me realizing it. Also, nice reference to Shadow of the Brood. Overall, I very fun mission. I surely enjoyed it! The hotkey for Cobra Commander's Decloak and Psi Shield is the same. I suggest changing the hotkey for Psi Shield. During the first section, Baroness died right after the first cutscene began as a Mutalisk was chasing me. Perhaps make Heroes invulnerable for cutscenes so they don't die while you're technically not playing. In the cutscene after you finish the section with the Cobra members, the commander says "They can't kill what they can't see". However after, only one of the units cloaked. This was a result of the units being out of energy. The drones that Annabelle has was visible at the start of the game, right before we play as the Cobra members. Kyra Han has the RAynor death sounds when she dies. I really had fun with the intro, was trying to give intense high speed air chase, and the tram background give the perfect setup. I still need to polish my terraining. Hopefully I will improve with time. Yeah sorry about Mira Kel, already give her that model for mission 01-03 but forgat to do in for mission 04, which is also why I pulled it down last week. Boss battle, Originally the boss was suppose to be named : Radgar's Clone . I even design the AI to be able to do all of Radgar's ability from the campaign. But Narudek / Patrick author of the shadow of the brood express his concern. So I change it to Ravager and only mention it have very strong resemblance to Radgar. For the bug report, I will fix it soon. Thank you for the feedback DudkiSC2. When you hover over Objective it says Handsome Joe, instead of Jack. I really like the custom models you use, especially the Goliath. The enemy groups with no triggers get a little monotonous. If you could make them respond to their ally getting attacked it would help. Otherwise you could just slowly pick them off using your long range abilities. Maybe have grenade drop next to your units instead of having to walk all the way back to get it. There is enough walking in this level already to different beacons and what not. I would have the doors open a little sooner after the "Password confirmed..." dialogue plays. It will just speed things up a bit. Mexican standoff - I went through the gate with just Ben Ar and Kyra Han and after the cinematic, only the medic and Goliath were inside the closed gate with Ben and Kyra stuck outside. Your bosses are really tough! I was able to beat it after many many tries. 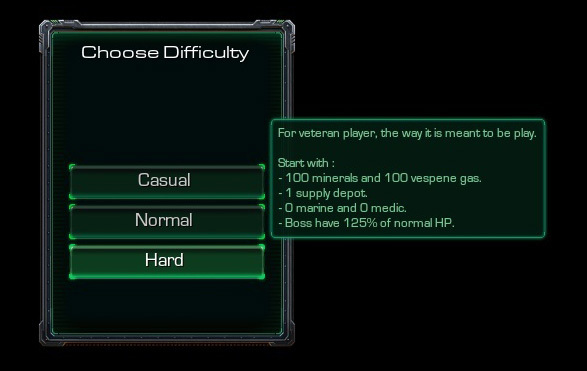 I would really consider removing the ability for bosses to heal altogether or give them a smaller health pool to begin with. I would also consider putting a few health and energy packs around the boss areas just the help the player out a little (especially to heal the squishy medic). 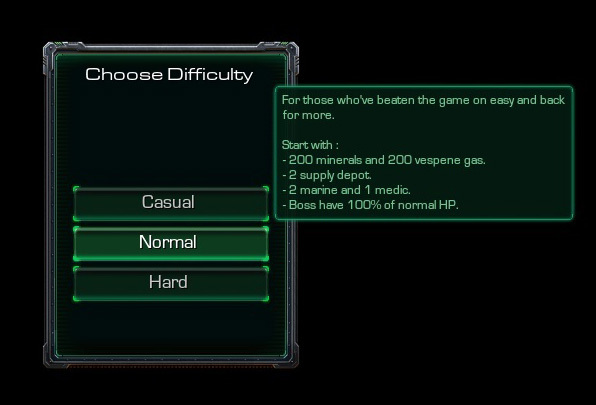 Your bosses may be a little tough for the average player, especially since there is one every mission. - Handsome joe? On it. - Thank you, if you like to visit the author page i already give links at credits section. - I will consider it for next mission. - Mexican standoff? I'll check it. - Really? 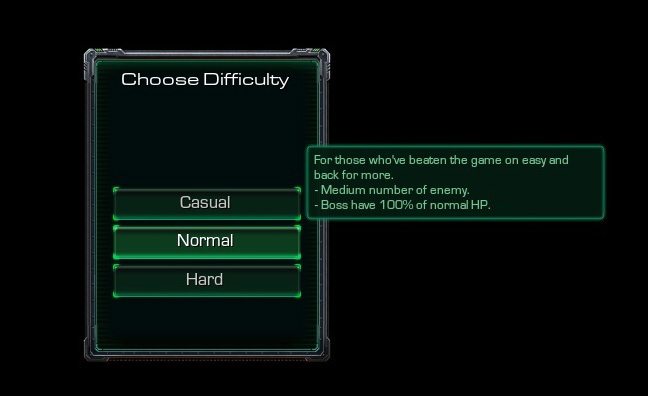 Hmm perhaps i will add easier boss ai as a feature at difficuly select. Thanks you for the feedback deltronLive. What if the medic gets autoheal from stetmann? Param value? Hmm never experience it before, at least not before they launch novacorpse and decide to change how custom music play. - Will take it for consideration. Thank you for the feedback DEFILERRULEZ. 6th mission is almost ready, still testing the triggers to make sure no bugs. It will be mix of macro and micro mission. I am still new with macro mission, with that in mind some may find the macro part to be easy / difficult. Map 06 is up, waiting for approval. 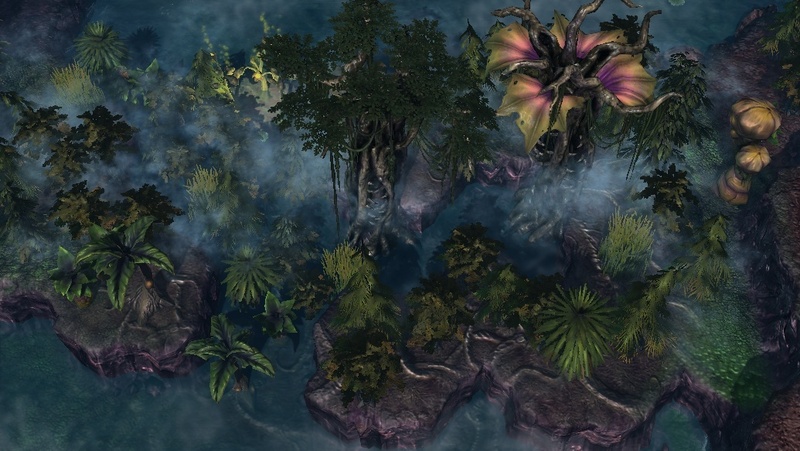 Good to see you back at the sc2mapster again ksnumedia. Hey EDRHIANO, just attempted Mission 06, played on Hard. Cool intro cinematic. 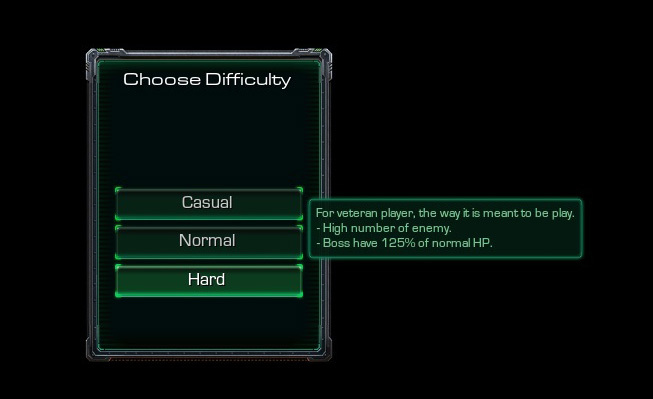 I really like that you’re including already-known characters like Stukov. This makes the story have a much stronger connection to the official lore, and it’s always awesome when you can make that small connection from your own stuff. Really liked that we got to see a macro mission. Nice change of pace. Although, I do wanna point out that the enemies that attack your base are sorta unforgiving. As soon as you trigger them, they literally attack you constantly, making it almost impossible to actually push out and do some damage. Right after you kill a very large group, another one equally as large appears. Either ramp up the attacks as you go, or give us a bit of a breather between waves. That would be for the best. 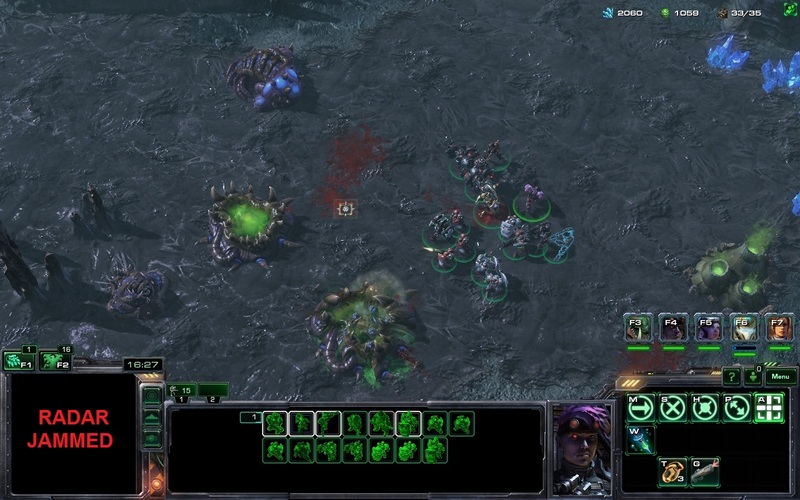 Also, once you go into the base, there is a massive swarm of Zerglings and Queens that continue to spawn as you’re attacking them. My army was pretty much dead at that point. It seems to be a bug with the triggering that doesn’t make them attack me. The last point I wanted to make is, the amount of minerals in your base are so incredibly low, you run out of money before you can make a sizeable army. I set up defenses and because of constant attacks I was forced to use my money to constantly repair, leaving almost no room to make units. I tried restarting and do Casual, and it was the same problem. The attacks are just way too large to manage with your low amount of resources. The Barracks creates 2 medics and 2 firebats when you choose to train them. You will also notice that the prices of those units are doubled because of this. You have to find the Barracks’ train ability and remove the additional unit that is created. The Factory creates 1 vulture and 1 predator when you press the Vulture train button. Similar to the Barracks, you need to go remove the Predator from the Vulture’s training ability. The Storm Shadow description when you hover over his wireframe still has the Spectre info on it. I can see your point DudkiSC2, I will try and balance the makro part. There are actually two easy way, almost like cheat to clear the makro part. If you remember what stormshadow and baroness said at the beginning of M05 I am sure you can figure out the first way. Thanks, I am still learning the doodads. To bad you haven't beat the mission yet. I've prepare some cool bits on mikro part. As for the bugs, I will address them immediately. I don't remember what they said. So, there was something important I missed?